Posted by Carolyn Burns Bass in Books Are Great Gifts, chick lit, commercial fiction, fiction, women's fiction. We begin as children—-sons, daughters—-and through the years we assume additional titles by natural growth—-wife, husband, teacher, doctor, etc. Other titles are thrust upon us without consent, but stick just as well: single mother, ex-thisorthat, widow, survivor. What do we do when these titles define us in ways we don’t wish to exist? We reinvent ourselves. 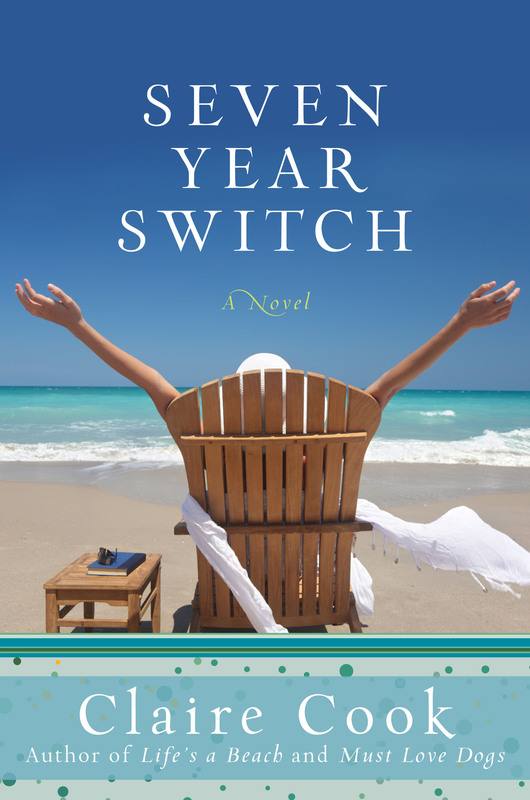 Claire Cook‘s latest romcom novel, Seven Year Switch, plays with the theme of reinventing oneself. The notion that every seven years you become a new person drives the theme of Seven Year Switch, but don’t expect a deep, introspective search on the part of Cook’s protagonist. Jill Murray is an entrepreneurial mother singling it with sass when she’s faced with the options of two men—-her long-lost husband come home from the Peace Corps, or a wild young inventor who aids in Jill’s reinvention of herself. 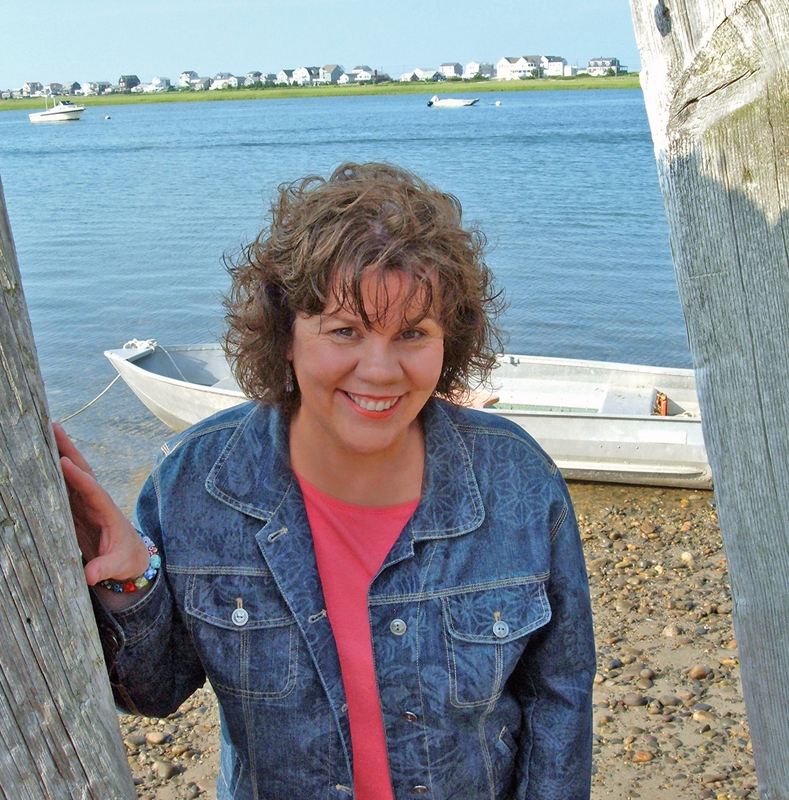 Cook is the author of seven novels, Seven Year Switch, The Wildwater Walking Club, Summer Blowout, Life’s a Beach, Multiple Choice, Ready to Fall, and Must Love Dogs. She wrote her first novel in her minivan outside her daughter’s swim practice at five in the morning. It was published when she was 45, and at 50, she walked the red carpet at the Hollywood premiere of the adaptation of Must Love Dogs which became a Warner Bros. movie starring Diane Lane and John Cusack. Ellen, thank you for your comment. I was still working on updating the blog and yes, had already removed the S, by the time you posted this. I appreciate your insights into SEVEN YEAR SWITCH. You are right that the book is not about the guy (either one of them), but I do believe a major catalyst in Jill’s personal renaissance is the affect of these two men at this time in her life. The weekly posts in the LitChat blog are meant to promote the author’s appearance as a guest host of #litchat. I think you’ll add a thoughtful voice to the conversation on Friday and will look forward to seeing you there.